Simon Keenlyside (Eugene Onegin), Krassimira Stoyanova (Tatyana), Elena Maximova (Olga), Pavol Breslik (Lensky), Diana Montague (Larina), Kathleen Wilkinson (Filipievna), Peter Rose (Gremin), Christoph Mortagne (Triquet), etc. Eugene Onegin has been living lately a period of incredible glory. For a long time, it was the vehicle for launching great Russian talents on the world lyric stage. 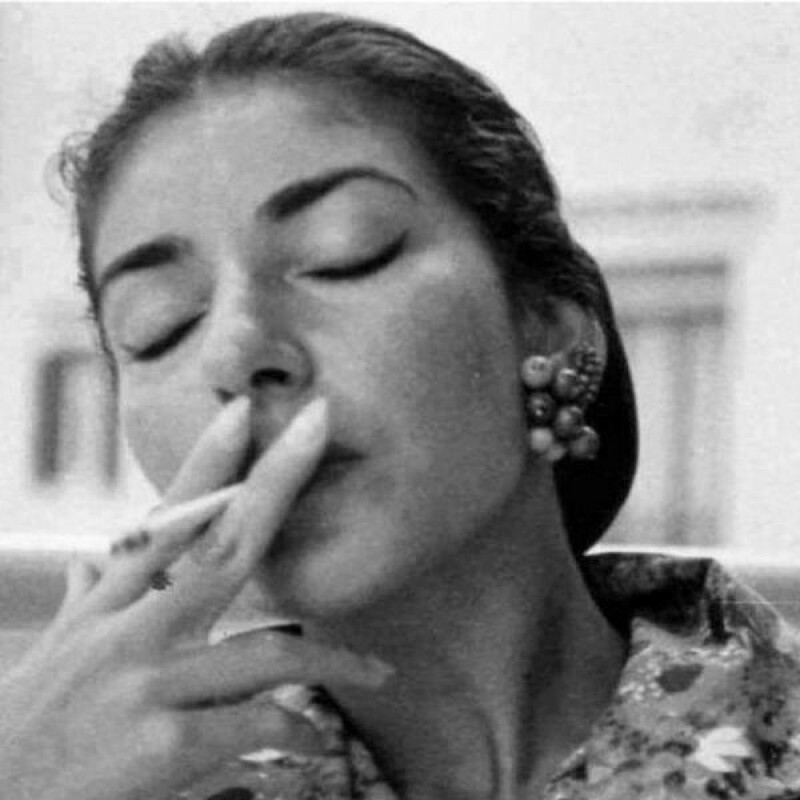 And for good reasons, as Galina Vishnevskaya or Ivan Kozlovsky were unique. The attempts of western theatres to stage or record this masterpiece were few, most of the time shy and with questionable results, as authenticity seemed to lack too much in most of the cases. What remains is Georg Solti’s recording, from 1974 (with Teresa Kubiak and Bernd Weikl), which then served, in 1987, as soundtrack for a very beautiful movie-opera, directed by Peter Weigl. Then, complete silence for nearly 20 years. As if nobody dared to tell again Tatyana and Onegin’s touching story, at a scale that could set it forever in the audience’s heart. Since 2007, the situation has changed dramatically. Practically, in only one year, three different performances were staged, and then published on DVDs, of an extraordinary quality, as I have already mentioned here. At the Metropolitan, in 2007, Dmitri Hvorostovsky is immortalised as the best Onegin of our days, then, shortly after, in Salzburg, Peter Mattei shows an endlessly seducing side of this character. In 2008, Bolshoi Teatr’s season opens in Paris (because the Bolshoi was being renovated), with a troubling production, full of ideas, belonging to Dmitri Tcherniakov, where almost the entire action takes place in a dining room – the intimism and the introversion replacing the classical landscapes of the XIXth century. Kasper Holten has always been a terrible kid of the opera world, who, since 2012, has had the occasion to confirm in London his huge talent that he has already shown. 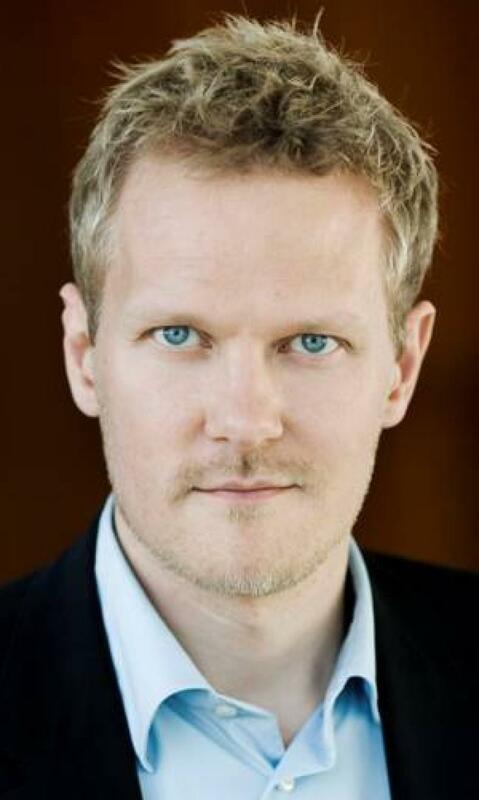 When he was 27 years old, in Denmark, he was the world’s youngest opera manager. He staged Wagner’s Tetralogy that pushed Copenhague opera to the front stage, a place never hoped for by the operatics of the North. He directed a movie-opera with Mozart’s Don Giovanni, Juan, which split the audience but attracted the attention of all melomaniacs. Difficult mission, because, with this first production in Covent Garden, everybody had huge expectations from Holten. 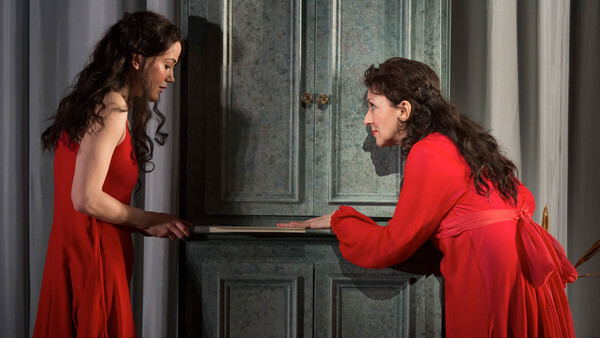 A new Eugene Onegin after his latest successes suddenly became much more than just a performance. One must be new, different, provocative, if one wants to keep one’s place in the audience’s attention. The card he played was the duality, or, better put, the process by means of which the main characters were made dual. Tatyana and Eugene belong, in London, to mature soloists (Krassimira Stoyanova and Simon Keenlyside are both over 50) who, in some scenes, have an alter ego played by ballet dancers, who complete all the emotions conveyed by the two singers’ voices with an exceptional choreography. The idea works wonders, in all its simplicity: the scene of Tatyana’s letter is practically retrospectively commented by the soprano and choreographically illustrated by a very beautiful ballerina, Vigdis Hentze Olsen. In fact, the chronological order is turned upside down, the music is in the present of the final scene, while three quarters of the opera represent a huge flash-back. Surprised, the British critics made very different comments on this idea, but stressed only two important things: once, that the show is very good, then, that the introduction of this alter-ego produces all sorts of real or false incongruencies, that they started to count. No matter how strange may seem Holten’s concept, in reality it is more obvious than we could imagine. We just have to remember. Because, in order to understand and appreciate the opera, in order to benefit 100% from its beauty, one must read, must acquire information, the richer, the more welcome. Pushkin’s novel in verse is different from Modest Tchaikovsky’s libretto, as the poet described Eugene Onegin in a very unflattering manner: a dandy without much brain, the author is continuously ironic with the main character, in fact, psychologically speaking, he is not too far from B.F. Pinkerton’s (in Madama Butterfly) incapacity of having a serious relationship. Considered a masterpiece in Russia, Pushkin’s work did not appeal too much to Tchaikovsky when he was asked to compose an opera based on this poem. 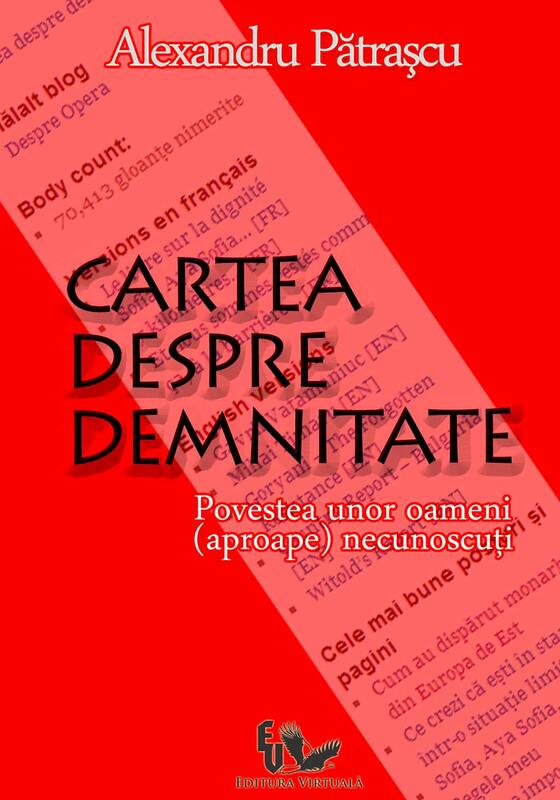 And no wonder – it is as though George Enescu had been asked to compose an opera based on Mihai Eminescu’s Lucifer: no matter how tempting the subject, the genius of the original inspiring author crushes such a project. But life decides otherwise and, in 1877, the composer finds himself in Onegin’s shoes. A former student, Antonina Miliukova, was sending him letters full of love. Even if he was gay, Tchaikovsky was thinking about keeping up appearances and wanted to get married, and the option of a refuse, like in Pushkin’s novel, made him hesitate. He accepts both challenges of the destiny, with different results. He decides to compose the opera, which will be an eternal success. At the same time, he decides to marry Antonina, decision that he will regret for the rest of his life, as the marriage ended catastrophically and definitively one month after being concluded. Maybe this is the source of beauty in his opera: its creator’s duality. All his introspection exists in the score, too. Therefore, in London, in 2013, we have real emotion, the look full of regrets glanced back by the two lovers who refused love is of a lacerating sadness, and the spectator is affectively harassed by this staging. In fact, what moves us at the opera? A possible answer is that music and theatre, together, in certain moments, make you identify yourself, at least partially, with the characters. With one or with several of them. 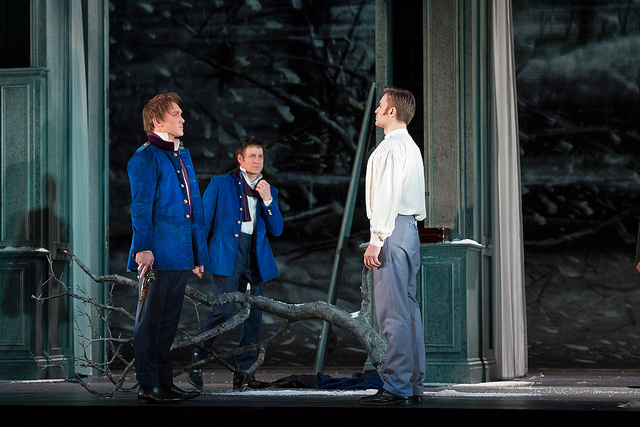 The one who, at least for one second, saw himself as Onegin in Holten’s production, that one has no escape. How could you look back at the duel with your best friend? How could you hug him when you already know everything that goes through his mind and soul while he is waiting for his best friend to come at the fatidic confrontation for that enormity called honour? In these conditions, Lensky’s death scene is very hard to bear. If you just sit in a chair and listen to the aria, it is enough to get overwhelmed with sorrow. And if you see the scene imagined by Holten, when alter Onegin, which is yourself, is there, near him, crying because he knows what will happen, everything becomes unbearable. The poet’s body will stay forever between Eugene and Tatyana, like an interdiction, like a purgatory, you really feel like putting the gun to your head… What is the use of all the women in Eugene’s life, the women in whose arms he just throws himself only to forget Tatyana? No use at all, and they disappear, as if they died, because everything he touches after his friend’s death dies too, the loss of innocence is irreversible… You almost do not notice that Pavol Breslik brings Lemeshev and Kozlovsky back to life, with his wonderful singing. What about that red expectation, what will it tell me? When all the men in the world would have come, with the letter open in their hand, to take their lovers in their arms, only one would not do it. And he will soon regret this for the rest of his life. 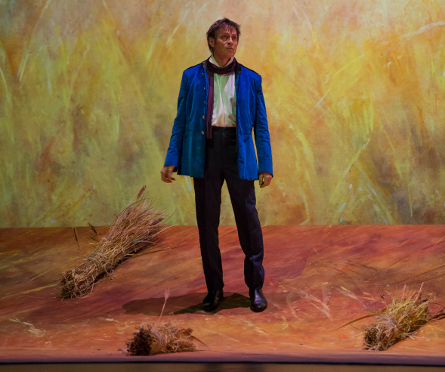 The fact that Simon Keenlyside is not a vocally sumptuous Onegin does not seem to matter any more, his look tells so many things, his playing is so perfect that, even if he had just recited his part, and he would not have sung it, with the despair in the final scene, a despair that makes Gremin apoplectic, he would still have been extraordinary. A performance that was worth every effort to be seen. Do your best to find it.